Aroa Bodegas has always stood out for its interest in serving those consumers concerned about the environment and health. Now it can also respond with absolute assurance to the 100% vegan consumer group. 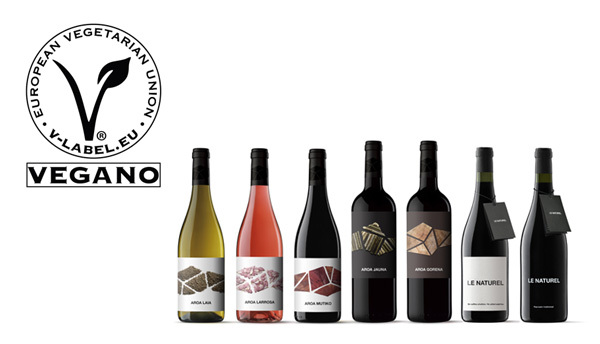 Recently the winery from Navarra received the V-Label certification granted by the European Vegetarian Union. Aroa has eliminated all the ingredients and additives of animal origin (eggs, dairy products, honey, animal fats, etc.) from the manufacturing process of: Aroa Laia, Aroa Larrosa, Aroa Mutiko, Aroa Jauna, Aroa Gorena, Le Naturel and Le Naturel Reposado. This type of certification is not very common in Spanish wineries, so Aroa continues to demonstrate that its project ventures beyond our borders and has a clear international focus.